Getting around in Australia is important. It’s a big place after all. In previous podcasts I have talked about using Melbourne’s trains and trams. But most people in Australia use private vehicles, such as cars or motorcycles. The fact is, Governments over the years have spent more money on roads than they have on public transport like trains or trams. That’s because Australians like to have the freedom of driving their own vehicle. In 2011, 50% of Australian households had 2 or more cars. That shows you how much we love our cars. In 2011, nearly 66% of all working Australians went to work in a car. Only about 10% took public transport such as a train, a tram, a bus or a ferry to get to work. So you can see, we really do love our cars here in Australia. So how much does it cost to own a car in Australia? Well, it costs quite a bit. Let’s talk about, say, a small four cylinder car such as a Ford Focus. Let’s assume that you bought it new. The cost of the vehicle is around $22,000. The on-road costs are around $3,000. These costs are paid in addition to the price when you buy the car. The on-road costs have four parts. The first is the dealer delivery fee. The dealer who sells you the car charges you a fee to prepare the car for sale. This covers things like cleaning the car and ensuring everything is working correctly. The dealer delivery fee can be as high as $1,500. Usually, people buying a new car try to negotiate with the dealer for a smaller delivery fee. The second part of the on-road cost is the government stamp duty. This is a duty or tax paid to the State Government. In Victoria, the stamp duty is 3% of the car’s price for cars costing up to $60,300 and 5% for cars costing more than $60,300. For example, the stamp duty on the new Ford Focus would be around $750. The third part of the on-road cost is the cost of the number plates, which is $32.80. The registration is the final part of the on-road cost and that would be $712 for a Ford Focus. So that’s all up about $3,000 for the on-road costs. So actually, the price of our new car is not $22,000, it’s around $25,000. Loan payment interest is about $1,000 every year. That’s because most people get a bank loan to pay for the car and you must pay interest at around 10% per annum. Costs for registration, third party insurance and your driver’s licence are around $2,000. This is an ongoing cost and must be paid every year. Running costs are around $2,500 every year. This includes the cost of fuel, new tyres every 3 or 4 years and the cost of servicing the car regularly to make sure it keeps running well. Most Australians travel around 15,000 km per year so keeping the car in good condition is important, otherwise it will soon break down and cost you even more money. All of this adds up to quite a bit as you can see. The RACV estimates that these costs, together with the costs of depreciation, equal about 55c for every kilometre that you drive, or around $160 every week. That’s a lot of train fares and bus fares. But I guess people just love the freedom of having their own car. You can leave when you want, go just about anywhere and you will be warm, dry and safe. In addition, you can use your car on weekends and on holidays to visit places and do things that you love to do. I must admit that I have owned cars since I was 18 years old and I think I’ll always have a car. (For more information about the costs of running a car, see http://www.racv.com.au/wps/wcm/connect/racv/Internet/Primary/my+car/advice+_+information/vehicle+operating+costs). Of course, many people don’t buy new cars. They buy second hand cars. This can cut the cost down quite a bit. For example, you can buy a good quality Ford Focus 2008 model, with say 70,000 km on the odometer, for around $10,000, a saving of about $12,000. That cuts the cost of the interest you must pay, reduces the stamp duty and removes the dealer delivery fee. But all the other costs stay the same. I also own a motorbike. One of the things I like about it is the small amount of petrol it uses. It does have a large motor of 1.3 litres, but it still travels around 17 kilometres on every litre of fuel. My car goes about half as far on a litre of fuel. So my motorcycle saves me a lot on my fuel costs. That’s one reason why I ride my motorcycle everywhere I can. The other reason, and the main reason, is that I just enjoy riding it so much, even if it can get a little wet in the rain. But I admit, not even the rain stops me riding my motorcycle. Maybe that’s a topic for another podcast. Podcast 26 Quiz - Did you understand the podcast? You can do the quiz as many times as you like. Your individual scores are not recorded. If you got all the questions right, well done! If you got some wrong, don’t worry. It’s normal for language learners to take time to develop their understanding. True or False? – Most Australians go to work in a car. True or False? – It is quite cheap to own a car in Australia. True or False? – The government stamp duty for a new car is not part of the on-road costs. True or False? 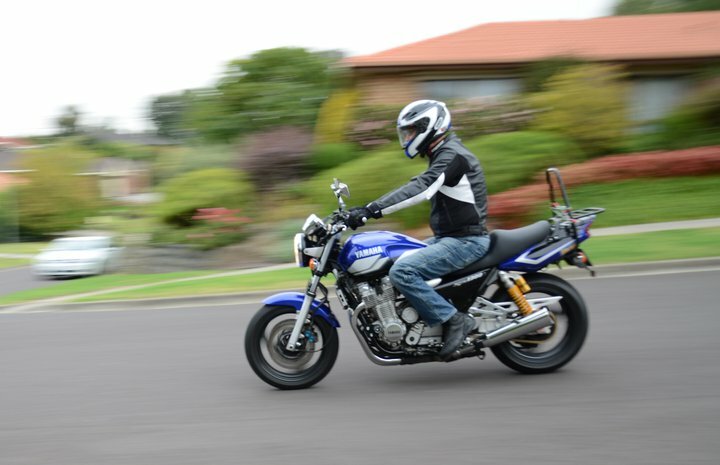 – The number plates are the cheapest part of the on-road costs. True or False? – If you get a bank loan to buy a new car, you must pay interest of about $3,000. True or False? – Running costs include the cost of registration. True or False? – When you add depreciation to all the other costs, it costs around $160 per week to run a Ford Focus over 5 years. True or False? – It is cheaper to catch a train or a bus, but Australians like the freedom which their car gives them. True or False? – Rob has owned motorcycles since he was 18 years old. True or False? – The main reason Rob likes his motorcycle, is because it saves him a lot on fuel costs. I have a car. But I have been thinking about the cost of being a driver for a lot. I had also estimated that it costs me about 10 euros a day, so it´s more or less the same cost that you have calculated. And I add other advantages: forgetting the stress of driving in the city centre, looking for a parking place… So I have decided that when my car breaks down with a serious problem, I won´t have it mended, but I will start to put 10 euros in a box every day, so, when I need to hire a car for a holiday or to pay a bus or a train ticket I can take the money that it costs and to see if it is worth living without a car. Yes, 10 Euros a day is sounds about right. Hiring a car these days is a good option, especially for holidays. Thanks for your interesting comment. Thank so much you for the fine work that you do making these great podcasts for us about daily life in Australia. I find them very useful. I come here almost every week to listen to them. I also download and upload them to my portable music player so that I can listen to them on my way to work, while I’m out shopping and when I’m at home doing dishes and things like that. Keep up the good work! Thank you once again. Many thanks for your kind message. It’s great to think that you listen to my podcasts and find them useful. Your English seems to be very good. Well done! Hi Luis. Glad you came to my podcast site.